TV BANTER . . . with Joanne Madden: You Wanted to Know: How tall is Mark Harmon? "I don't care who's No. 1 on the call sheet or how big my trailer is. I care about the work. I don't care who gets the laughs. I just care that the laugh comes." Mark Harmon is about 1.82 or 1.83 metres according to various sources. That makes him just under or just over 6 feet tall. 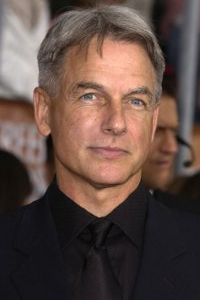 Mark's full name is Thomas Mark Harmon and he was born in Burbank, California on September 2, 1951. He is now 62 years old. Mark Harmon's wife, Pam Dawber, is 1.69 metres or just under 5 feet, 7 inches. Sean T. Harmon, Mark and Pam's 26-year old son, is slightly shorter than his father. On his website, Sean (born April 25, 1988) lists his height at 5 feet, 11 inches or 1.8034 metres. Sean's younger brother, Ty Christian Harmon, was born on June 25, 1992. Note: Some readers have been wondering if Mark Harmon is related to Dallas-born actress Angie Harmon. No, they are not related.